FOOTBALL: WOKING were uprooted 2-1 by a solid Forest Green Rovers side on Tuesday evening. 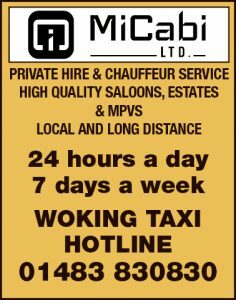 Playing into driving wind and rain, Woking knew that the night was set to be a tall order. Having gone ahead through Dean Morgan’s superb 21st-minute opener, the Cards were blown away as two of Forest Green’s great oaks – Jon Parkin and Luke Oliver – did the damage to turn the game around. While conditions were thankfully nowhere near the extremes that Gloucestershire has endured in recent years, they certainly proved testing enough for Woking goalkeeper Ross Worner and his defence, with clearances being held up in mid-air and Rovers using the blustery breeze to their advantage. Wide men Clovis Kamdjo and, in particular Marcus Kelly, were whipping in some devilish deliveries from the get go, with Mike Cestor and Chris Arthur both having to clear off their own goal line in the opening minutes. Despite the danger, the visitors were seemingly powerless to prevent Rovers from racking up a first-half corner count which almost hit double figures. Through the eye of the storm struck Morgan for the Cards, however. Feigning one way, then the other, the forward sent a thunderbolt into the top corner of helpless keeper Sam Russell’s net. It was yet another spectacular goal on the road for Morgan, his third in three away games after strikes at Grimsby and Macclesfield. The house of Cards was soon blown down though, as Parkin used all of his 6ft 4in timber frame to scramble Forest level from an Elliott Frear centre. But rather than parking the bus in front of powerhouse Parkin, Woking backed off again minutes later, with Worner having to be at full stretch to keep a dipping volley out of the top corner. Worner was picking the ball out of his net from the resulting corner, however, as 6ft 7in defender Luke Oliver rose like the Norwegian spruce in Woking’s Jubilee Square to meet Kelly’s curled delivery – big defender Oliver had made over 50 appearances for the Cards a decade ago. 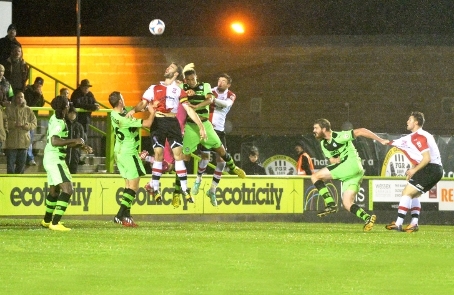 Garry Hill sent his diminutive but normally deadly lumberjack Jack Marriott on to try and bring Forest Green down to size in the second half, but although the storm calmed slightly after the break – the youngster nodding a half-chance on target – Woking never looked like seriously making the conditions work in their favour. Morgan rolled a dangerous low ball across the six-yard box to no avail and Cestor ruffled the side netting late on, but the equaliser wouldn’t come. 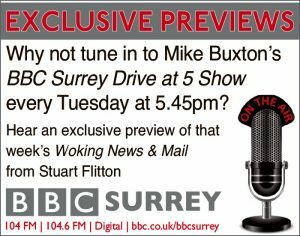 Woking remained in third place on Tuesday night after Macclesfield lost at Torquay, but with Forest Green and a host of clubs now hot on their heels, the Cards will know they have bounce back in their next league game against Southport a week on Saturday.